Rosemary has an extensive background in mathematics education in Australia, in teaching and research. Internationally she has worked in Hong Kong and with UNICEF in North Korea. She is an acknowledged expert at using Rasch measurement techniques and has collaborated with some of the top specialists in this field. She also uses other statistical and quantitative methods, as well as a range of qualitative approaches, usually in some form of mixed method research. 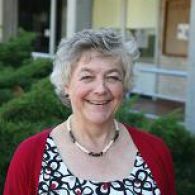 Her specific research interests include teachers' pedagogical content knowledge, statistical literacy, mental computation, and assessment of mathematics and numeracy. Rosemary began her professional life as a research chemist for Courtaulds in the UK. After three years living in Hong Kong, she came to Tasmania and commenced a teaching career in mathematics and science in government high schools. In 1992 she moved into mathematics curriculum implementation, and undertook a Masters in Educational Studies. She subsequently became a founding member of the Office for Educational Review. In this role, she undertook program reviews and managed state-wide testing programs. To place this work within a theoretical framework she undertook a Masters of Public Administration. Commencing a PhD through the University of Melbourne, she also undertook several secondments to the Faculty of Education at UTAS. In 2002 she moved to the University of New England where she ultimately became a senior lecturer and deputy head of the School of Education. In 2005 she won a Cheung Kong Endeavour scholarship and spent 6 months at the Hong Kong Institute of Education researching within the Assessment Research Centre. From 2006 to 2009 Rosemary undertook a consultancy with UNICEF in the Democratic Peoples' Republic of Korea (North Korea) developing a process of mathematics curriculum renewal. In 2008 she returned to Tasmania as an Associate Professor of Mathematics Education. She has been Chief Investigator on ARC and OLT projects, and has undertaken several national studies. Broad expertise in school mathematics curriculum design. Rosemary is not currently teaching, but does contribute to the research units in the Graduate Certificate in Research undertaken by all research higher degree students. Survey and item design for mathematics education assessments. Rosemary's work fits within two research themes: Creativity, Culture and Society and Data, Knowledge and Decisions. Her work within the school system that aims to improve the quality of teaching and hence students' learning outcomes is linked to the University's research theme of Creativity, Culture and Society. This body of work contributes to the improvement of schooling, and helps build skills and understanding of mathematics and statistics that allows people to be active, informed citizens. The work focussing on measuring outcomes and evaluation provides information that leads to improved decision making, and is aligned with the University's theme of Data, Knowledge and Decisions. Rosemary's work had contributed to knowledge at all levels of education, from classroom to national systems. It has included better understanding of how students learn, factors that impact on teachers' work, the impact and evaluation of programs at school level, and national studies addressing outcomes and effectiveness of teaching and teacher education. Rosemary is currently leading a large national project examining best practice in mathematics education. In addition she is involved with two other large scale national mathematics education projects, a cross-Tasman study addressing teachers' knowledge for teaching, and a broad community project in Tasmania. Prior to these involvements, she has led or collaborated on several national or inter-state projects, all involved with improving the quality of education, mainly mathematics education. These national collaborations have led Rosemary to be linked with almost every Faculty of Education in Australia during the past 10 years. Internationally she has worked with researchers in the UK, Hong Kong and New Zealand. Powerful Knowledge: Mapping out standards of teachers' knowledge for teaching Mathematics and English to achieve the goals of the curriculum (ARC Discovery). This study aims to provide benchmark standards of appropriate teacher knowledge for teaching Mathematics and English across the levels of schooling from Foundation to Year 12, at different stages of experience, and explores ways in which teacher knowledge can be developed. Developing an Evidence Base for Best Practice in Mathematics Education (OCS). The goal of the project is to build a compelling evidence base for national best practice in mathematics education by identifying key factors in school mathematics improvement as measured by NAPLAN. Case studies of selected schools will be undertaken in every state, and national surveys of principals, mathematics leaders in schools/systems, teachers (primary and secondary) and students will provide a large data set for modelling purposes. The project will deliver a large data set of qualitative and quantitative data, together with an initial report, that will be made available to the Office of the Chief Scientist for further analysis. Rosemary has published extensively in the fields of mathematics and statistics education. These publications include 2 books, 12 book chapters, 25 journal articles and over 50 refereed conference publications, as well as articles for teachers in professional journals. In addition she has written numerous reports and reviews for a range of organisations. Rosemary has authored curriculum materials for teachers based on her research, usually in collaboration with other researchers. A co-authored text book,Primary Mathematics: Capitalising on ICT for today and tomorrow, won the 2014 Australian Educational Publishing Awards, in the Tertiary (wholly Australian) Student Resource Category and Tertiary and Vocational: Outstanding Digital Resource category. Rosemary has led and contributed to many projects funded from a variety of sources. These include competitive ARC grants—both Linkage and Discovery projects—and Priority Project funding from the Office for Learning and Teaching. In addition she has successfully tendered for projects, including a current study addressing best practice in mathematics education, funded by the Office of the Chief Scientist. Overall she has attracted nearly $2 million in funding, including nearly $1.5 million in external funds. This project will deliver a large data set of qualitative and quantitative data, together with an initial report that will identify key factors in school mathematics improvement as measured by NAPLAN. This project (TEMPEST) will provide teachers of mathematics K-12 including in the VET sector with: a collaboratively developed national framework for the creation, implementation, and evaluation of quality professional learning (PL); and quality PL resources addressing identified needs particularly related to the applications of mathematics in science, ICT (particularly informatics) and engineering (STEM disciplines). The aim of this project is to work with four secondary schools and one district high school and their associated primary schools as a cluster, in an actioned-based research approach, that has a strong focus on teacher staff professional learning using the school principal as curriculum leader as a key element. The project will work to improve literacy and numeracy outcomes of high school students targeting the transition from primary to high school as a key determinant of likely success. The purpose of the action research is to explore issues, share best practice pedagogy, beliefs and practices to investigate how the performance of students in Years 7 and 9 can be improved. There is considerable interest in raising the quality of teachers through setting standards and expectations to which all teachers can aspire. This task is complex. The knowledge that teachers need varies across the levels of schooling, with teacher experience, and by subject. The curriculum describes what content must be taught at each year level but there is no parallel pedagogical curriculum to indicate what appropriate pedagogical knowledge is necessary to achieve the goals of the curriculum. The Powerful Knowledge study will map the knowledge and develop benchmark standards of what teachers need to know to teach effectively in Mathematics and English across Levels of Schooling and different Career Stages. Rosemary has successfully supervised students at Honours, Masters and PhD level. The projects have gone beyond mathematics education, covering a wide range of methodologies and topics. Many of her students have gone on to have successful academic careers in Australia and overseas, and Rosemary is actively working with several past students, including joint supervision current students.